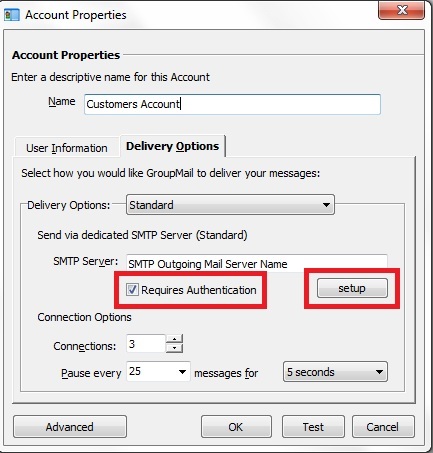 Here you will find� instructions to add SMTP User Authentication details in GroupMail. As always, please feel free to contact the GroupMail support team. They will be happy to examine your settings for you.